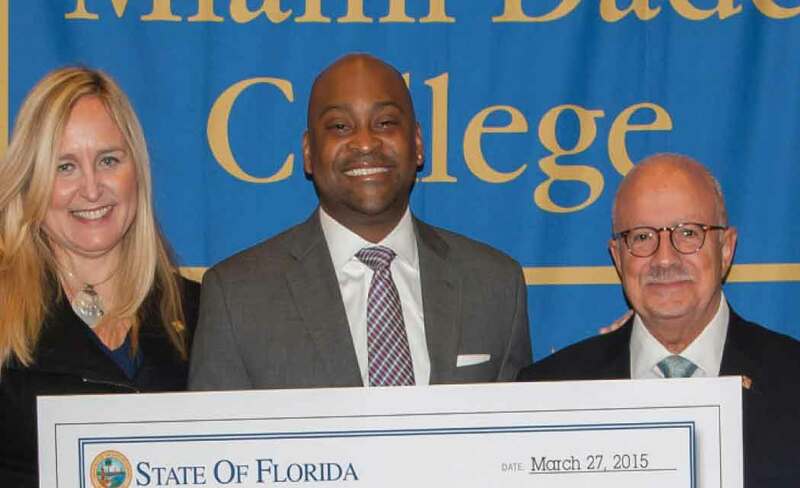 Florida Senator Oscar Braynon II presented the Miami Dade College (MDC) Board of Trustees with a check for $5 million to repair and renovate the gymnasium at MDC North Campus, where as a young man Sen. Braynon played his first game of basketball and attended summer camp. The renovation will include the creation of a tactical training facility for the MDC School of Justice. 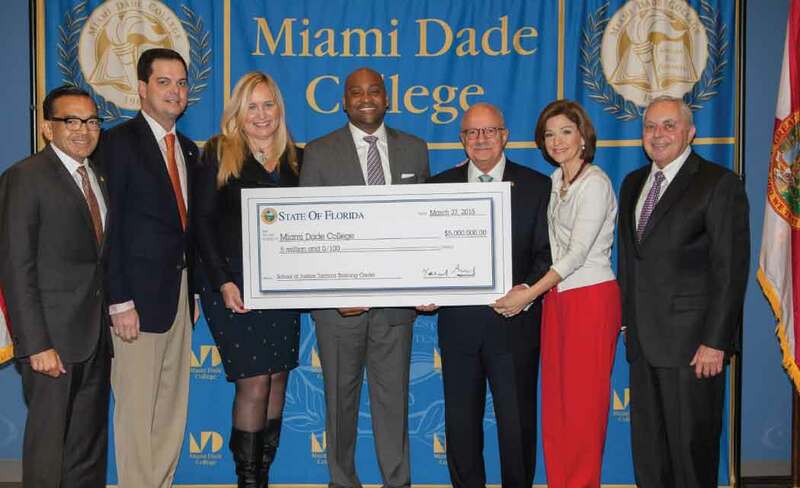 Holding the check: (L-R) MDC Board of Trustees members Jose K. Fuentes, Bernie Navarro, Marili Cancio, Sen. Braynon, MDC President Dr. Eduardo J. Padrón, Helen Aguirre Ferré, and Armando J. Olivera.